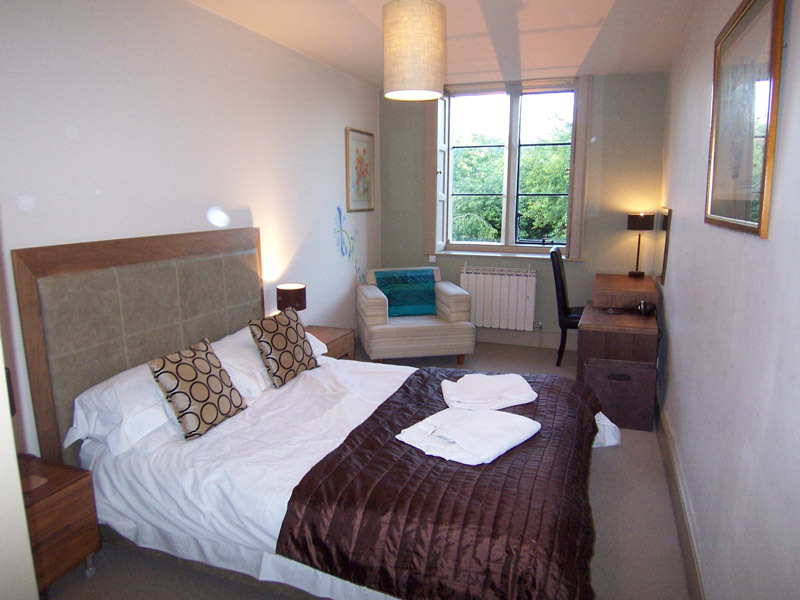 The Devonshire Apartment is available for two night minimum bookings. First floor apartment with views of the front garden of the Hall and across the roof tops of the town to the golf course and woodlands beyond. Apartment on one level with open plan entrance hall and kitchen with electric hob / oven/ fridge / round bowl sink / microwave, kettle and toaster. Crockery, cutlery, glassware and cooking implements all provided. Separate lounge with contemporary leather sofa bed, which can be organised to sleep an additional guest for an extra charge, and two armchairs, fireplace and dining area. Flat -screen TV, DVD and CD player with iPod dock and radio. Bedroom with king size walnut framed bed with padded leather headboard, walnut bedside tables, dressing table and easy chair. Separate bathroom with whirlpool bath, separate shower, W.C. and vanity unit. Original panelled shutters to windows add to the character of this apartment. 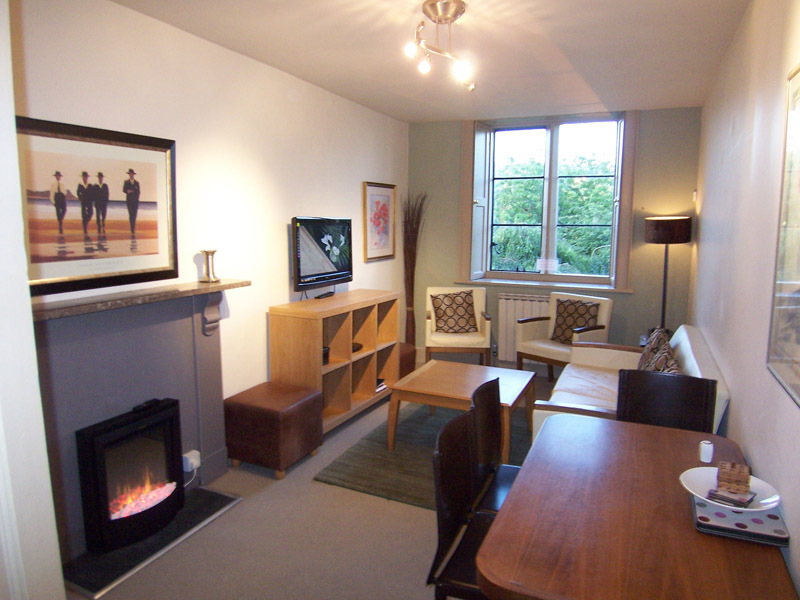 This apartment can be linked to the adjoining Churchdale suite to combine for family use. There is a two night minimum stay required for this apartment.